The 17th Franchise and Business Expo, organized by the Association of Filipino Franchisers, Inc. (AFFI), opened today, February 1, at the World Trade Center in Pasay City and welcomed thousands of attendees and hundreds of exhibitors, composed mostly of existing and aspiring entrepreneurs. With the theme “Galing ng Pinoy: Lokal is the new Focal,” the expo is being held at Halls B and C, World Trade Center In Pasay City this February 1-3, 2019 from 10 am to 7 pm. 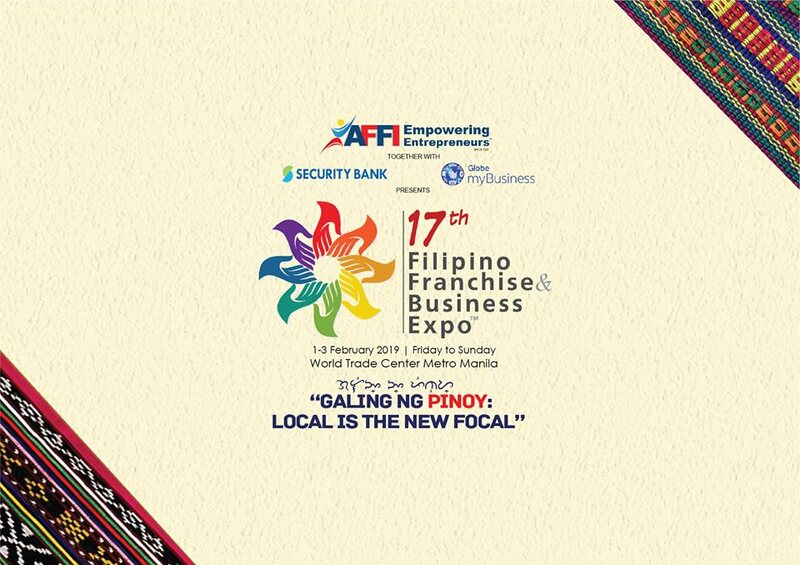 Expo partners include Globe MyBusiness and Security Bank. The expo features an impressive lineup of speakers and several breakout sessions composed of entrepreneurship talks and business seminars, with the hope of educating attendees about the rigors of putting up a business, and how franchising remains as the best and most advantageous path for business investments. "We at AFFI believe wholeheartedly in our local businesses and we thank them for their unselfish acts of sharing their knowledge and experiences to investors and would-be entrepreneurs through the expo. 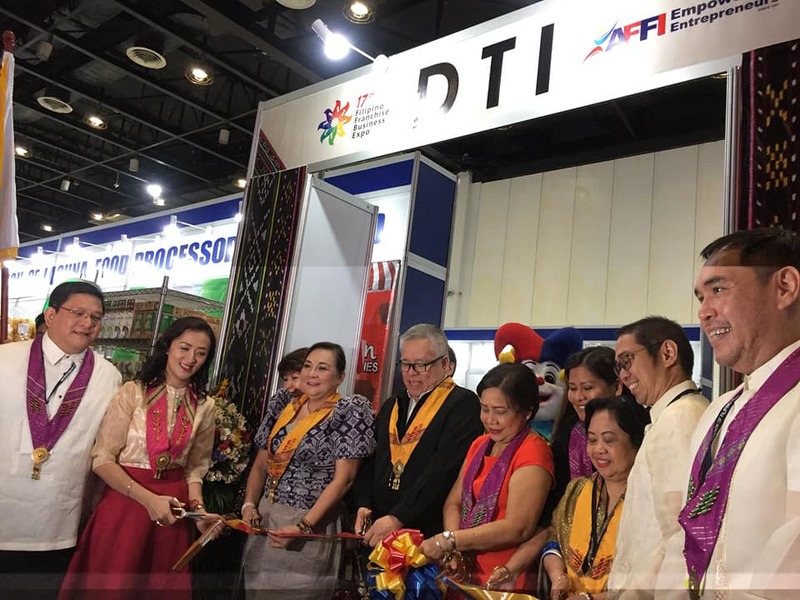 The expo is also AFFl’s commitment to continue to discover businesses and hopefully espouse an entrepreneurial mindset among many Filipinos, who may want to go into business but don’t know where to go to. We hope to achieve all these in fulfillment of AFFI’s mantra 'Para kay God, Para sa Bayan, Para sa AFFI,” says AFFI President Marie-Joyce Co Yu, also the President and CEO of Trueblends Tea & Coffee. 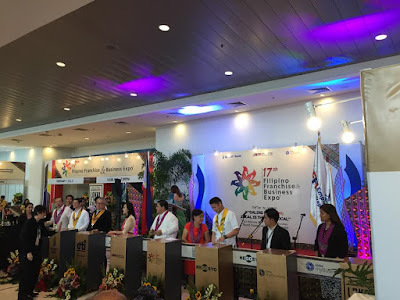 The Association of Filipino Franchisers, Inc. is the prime trade organization committed to promoting responsible and home-grown micro, small and medium enterprises (MSMEs) through franchising. As of November 2018, AFFI has around 221 members, with businesses counting more than 16,000 outlets, 36 percent of which are company owned and 64 percent under franchise. These businesses have remained in business for an average of 10 years, providing employment to more than 96,000 Filipinos and generating annual sales totaling Pup 54.07 billion. AFFI is headquartered at the AFFI Center, Unit R 7/F FuturePoint Plaza Ill Building, #111 Panay Avenue. Brgy. South Triangle, Quezon City. Call AFFI at (02) 745-3237 and 0917-5182334 or 09175199837. 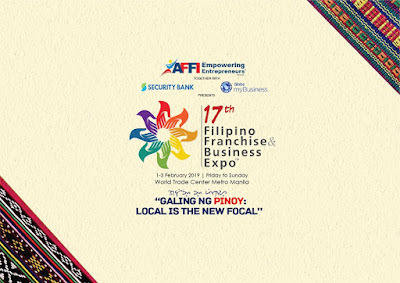 You can also email AFFI at expo@affi.com.ph.